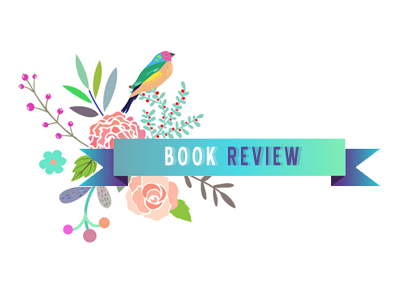 I posted a list of ‘5 Reasons You Should Preorder Nevernight’ a couple of months back, so it should come as no surprise that I absolutely adored the book. Nevernight has just the right blend of nostalgia and fresh, original elements. It dares to go dark places, but is also never afraid to poke fun at itself and its genre, making it one of the best fantasy I’ve read this year. I know you’ve heard it before, but I love Catherynne Valente and would gladly devour anything she writes, be it short stories, full-length novels, or daily tweets. I love the way she blends existing myth and folklore to construct sublime new worlds. With Radiance, she brings old Hollywood glamour and the age of silent film into celestial space. The result is an enchanting and dream-like mystery spanning across multiple genres. “She is dead. Almost certainly dead. Nearly conclusively dead. In the name of getting into the mood for Halloween, I went on a little horror movie and horror books binge last week. Note to self: you’re too much of a chicken to ever attempt this again. 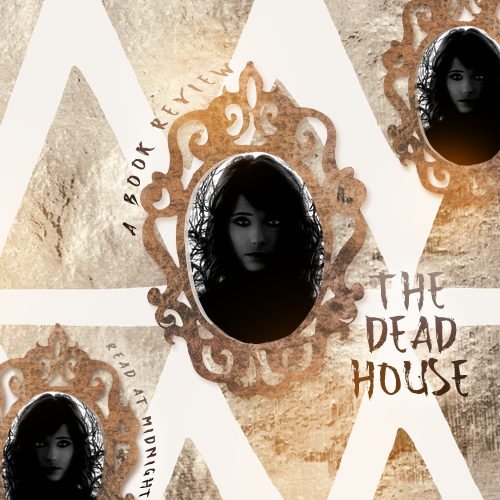 I found The Dead House incredibly riveting and engaging – I also adored the epistolary nature of the novel! I fancy myself an amateur designer, so I get all excited when I see books that are told through special formatting. At times, this can come across as a little bit gimmicky (*cough Illuminae, I am having some doubts about you*) – I though The Dead House benefited from this form of narration. 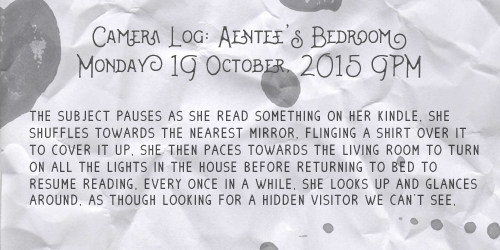 We got a mixture of diary entries, video logs, interviews, and police files that patched together a story. The missing information and the non-linear style of the writing truly elevated what would have otherwise been a mediocre plotline. It also helped that the writing was stunning in the way it portrayed Kaitlyn/Carly’s slow descent into madness. The prose was always dark, atmospheric and unpredictable. I didn’t even mind a couple of pages where a single word was just repeated incessantly! In fact, I have a couple of graphics in this post that was inspired by the unique way this story was told. 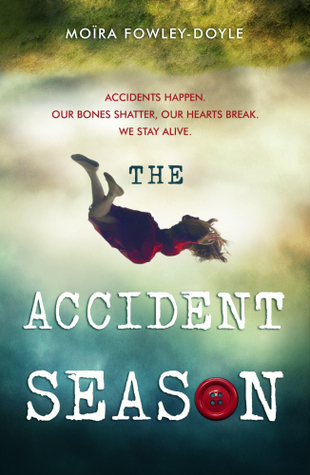 The main character of this book is Carly Johnson, the primary suspect in the burning of Elmbridge high school in what became known as The Johnson Incident. Carly is referred to by all the reports and professional personnels by her legal name – but the star of the show is actually Kaitlyn, her nocturnal alter ego. Carly/Kaitlyn was diagnosed with dissociative identity disorder, with Carly representing all that is warm and light – while Kaitlyn lives on in the darkness and exhibits deviant characteristics. Despite her instability and depedence on her diurnal alter – I found Kaitlyn a very easy protagonist to root for. I loved that as a reader, we had to constantly second guess all the information she is giving us. There’s never a clear answer on whether the voices that haunts her are supernatural or a product of a decaying mind. I also enjoyed the fact that the authority such as Kaitlyn’s psychiatrist do not have all the answers, and may also be implicated in the bigger mystery. The author definitely excelled in painting a teenage girl who’s looking for acceptance and yet only finding madness. I was kept guessing throughout the book, which is ironic, as I saw the final plot twist from a mile away. Finally, the book is definitely delivers the scares – which is more than I can ask of it. While I am very susceptible for TV/Cinematic horror, I find myself a bit more immune to books (perhaps because I admittedly don’t have an active visual imagination, for shame!) However, I still found myself double checking the mirrors and turning on all the lights while reading this book. More than that, the book also made me ponder about the mental illness that Kaitlyn may suffer from – and whether she was mistreated all along. This particular line of thought is even more chilling than any supernatural happenstance. Overall, I highly recommend this unique book, especially with the spooky season looming near! 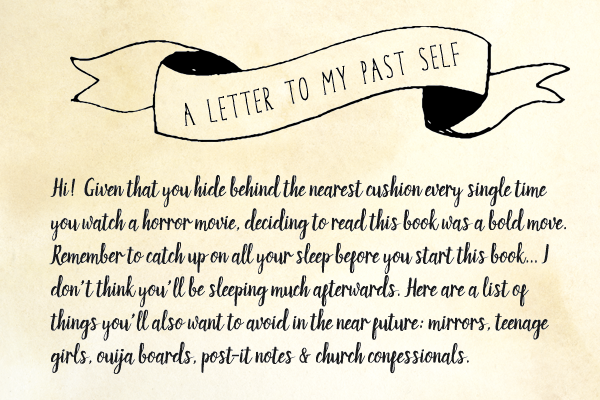 If you’ve read it, please share with me your thoughts and let me know whether you were scared? 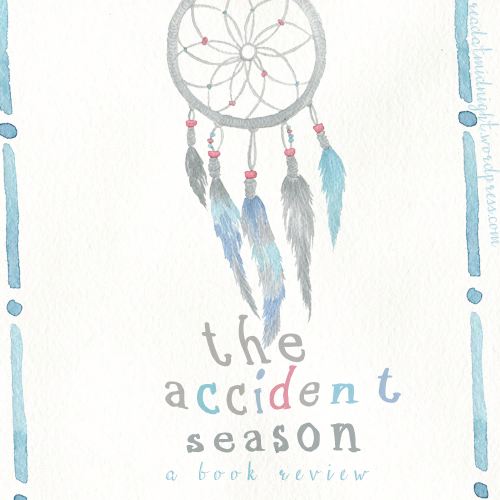 The Accident Season was a bit of a surprise for me, I didn’t expect it to bowl me over and delight me in EVERY way possible. I eagerly read every beautiful, haunting sentence. I craved its slight dark and off-kilter spin on reality. I laughed, cried, and loved along with all of the main characters. It’s a story about a family curse, with a big fat highlight on the family, identity, and the memories which define us. Note: Contains spoilers for Half A King. 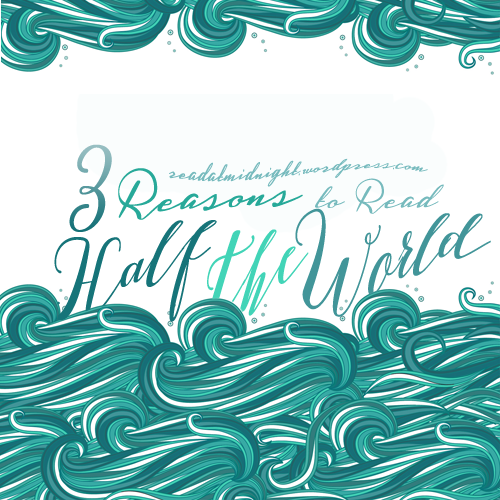 I loved Half A King so I was so excited to come plunging back into The Shattered Sea series. Though the story in this book was driven by different characters, I still found the cast utterly charming in all their double-crossing and murderous glory. Sometimes a girl is touched by Mother War, and put among the boys in the training square, and taught to fight. One of the things I really enjoyed about Half A King was its treatment of female characters. The book featured ladies in position of political power, ladies who were physically strong, ladies who were mentally strong, ladies who never took a backseat to the dudes – despite the story being narrated by a male protagonist. 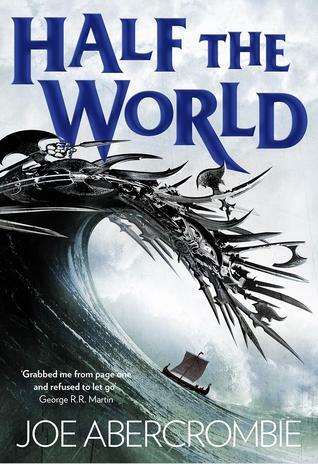 Half The World go one step beyond that to give us more than half a book narrated by Thorn, a veritable badass. 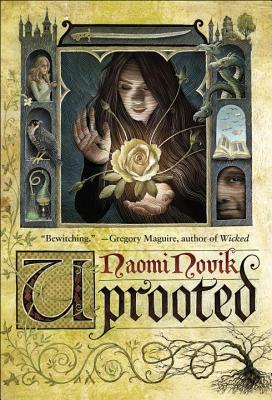 Uprooted is a modern take on a classic coming-of-age fantasy, the tone reminds me of all of my old favourites: Juliet Marillier, Robin McKinley, Diana Wynne Jones. It also reminds me of Naomi Novik’s previous series: the wildly entertaining Temeraire. This time, the dragon in the story isn’t the adorably blunt Chinese Celestial Temeraire, but a (mostly!) human man. The focus of the tale is on Agniezka (henceforth referred to as Nieshka, I can’t spell her name, ok), her friendship with Kasia, her tumultuous relationship with Dragon and magic, and her struggle with the Wood. Our Dragon doesn’t eat the girls he takes, no matter what stories they tell outside our valley… They talk as though we were doing human sacrifices, and he were a real dragon. Of course, that’s not true: he may be a wizard and immortal, but he’s still a man, and our fathers would band together and kill him if he wanted to eat one of us every ten years. He protects us against the Wood, and we’re grateful, but not that grateful. Oh, this book has one of the best opening paragraph ever, I knew I had to own it as soon as I read the free sample on Barnes & Noble. Go on, click the link, go buy it, I’ll still be here waiting. Anyway, the Dragon takes these girls, then return them with a handsome fortune ten years later. The girls never choose to linger in the village, they set abroad almost immediately. Nieshka was born a Dragon-girl, but everyone knew that the Dragon will undoubtedly choose her best friend: bright, beautiful, brave Kasia. However, expectactions are quickly turned on its head when the Dragon whisks Nieshka to his tower instead. In this Roman-inspired setting, the empire is ruled by the Martials, a group of brutal and merciless warriors. The Scholars live oppressed lives and are often enslaved, Laia is one such Scholar. When her brother is enslaved, she is forced to infiltrate Blackcliff Academy, an institute that churns out the empire’s most feared human weapons: The Masks. Elias is the academy’s best student, but he’s also having second thoughts about this dark path. Just as he’s planning to leave the Academy, he’s forced to enter a dangerous contest to become the next Emperor.